E.SUROV: Here’s my question: the Olympiad has finished, FIDE Congress has also been held in Istanbul, so what is the result? We see that Garry Kasparov, despite some refutations, if not reconciled with FIDE, at least found some ways to cooperate, while you, judging by your Twitter updates, on the contrary, so to say drifted away from FIDE and almost started a war against it. What has happened? You don’t cooperate with Kasparov anymore? S.DANAILOV: First of all we should start from the FIDE Congress itself. This was the first time I visited it as the President of ECU and of course I observed everything that happened there from a very different point of view. Don’t forget that this was a very important Congress where the FIDE Regulations were changed – in other words, the constitution, which determines its future has been changed. I was incredibly surprised because I personally got the final changes of the Regulations at 01:00 a.m., while other delegates got the changes early in the morning, an hour before the Congress has started. There were a lot of things that had to be discussed, however, only few people knew about them, while others practically had not any idea. A lot of delegates don’t speak English, however, all information was available only in English. So, the delegates had to take very important decisions on changes in the Regulations of FIDE almost blindly, which is in fact absolutely antidemocratic. I asked for time, at least to have one day. Short also asked for time in order to at least become familiar with the changes. E.SUROV: Why did they send it to you so late? Did they explain themselves? S.DANAILOV: That’s because different interests, groups were negotiating till the last minutes. I personally agreed to some points, however, there still were some negative moments. The fact is that there’s one person, an expert in populism, demagogy, manipulation and that is Makropoulos. Due to this person the changes were approved in the way that people weren’t familiar with what they were voting for. I observed such a thing for the first time in my life. FIDE has to be a democratic organization, but in practice it turned out to be a completely different thing. E.SUROV: Well, Kasparov considers all the changes approved to be positive. S.DANAILOV: That is not an evaluation. I told him I don’t agree with some of the changes. I have protested against the following: according to the new Regulations, if some federation wants to sue FIDE (in the case of FIDE’s illegal actions), it should make deposit of 200 thousand CHF, which is absolutely inadmissible and impossible. There doesn’t exist such rich federation to be able to do that. Well, maybe only 2-3 in the world. This means that FIDE can act illegally, while the federations won’t be able to defend themselves. There also were some other issues. Anyways, keep in mind that in politics Kasparov and I aren’t a team. He has his own views and interest, mine are different. We have a lot of chess projects and we cooperate with each other perfectly, but chess politics and FIDE is a completely different thing. E.SUROV: Then let me ask you something (actually Kasparov is also asked this question): will you run for presidency of FIDE in two years? S.DANAILOV: It’s too early to talk about that, but I think I won’t. It’s not as easy as people think. I personally started a great job in the ECU, we have a lot of projects and I think that I have to finish them and that needs another term as minimum. As regards to FIDE Presidency – that is a very hard job and it’s too early too. This question shouldn’t be addressed to me. I don’t know who will be that ambitious, but what I know for sure is that I won’t be running for presidency. E.SUROV: OK, so what does that strange tweet about you almost having a war against FIDE means? What has happened? S.DANAILOV: Well, it’s too categorical proposition. I didn’t say “a war against FIDE”, I said a war against the forces there which in my mind doesn’t work for benefit of chess or FIDE. 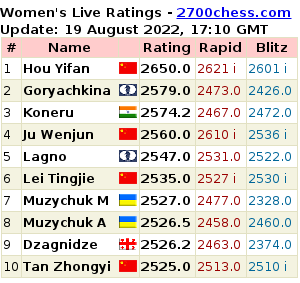 This is the structure you have in FIDE now: Kirsan Ilyumzhinov is the President, who relies on his team, which is headed by Makropoulos. Those people started to fight against me immediately after I became the President of ECU. Not in the literal sense of this word, but I mean chess reality. They started to create problems to me and I endured that for a long time, but I’m not going to stand that any longer. Now I will be taking responsible actions in order to fight against them. I think that this group is bad as for chess so for FIDE, they are doing whatever they want, that’s why I’m going to fight against them. Of course only by the help of legitimate and legal sources. E.SUROV: Did I get it correctly – you are against Makropoulos and all those people who have been chosen by Ilyumzhinov as responsible for leadership in FIDE. Does that mean you don’t have a claim on Ilyumzhinov himself? S.DANAILOV: No, I don’t have any problems with Ilyumzhinov. Don’t forget that he’s the President of FIDE for 17 or 18 years. E.SUROV: Yes, for 17 years. S.DANAILOV: 17 years. It should be said that he has done a lot for chess. That’s practically he who fixed up FIDE from total bankruptcy. But isn’t it enough? 17 years as a President… From my personal experience: the President should solve the problems at every turn. It’s clear that Ilyumzhinov now is more into business and pushed FIDE to sidelines. He completely relies on the team which got the power now. I believe that FIDE will work better and will be a really democratic organization only after this team headed by Mr. Makropoulos will resign. And Ilyumzhinov,,, Well I understand him, he can’t be doing all that for so many years…It’s hard for him. 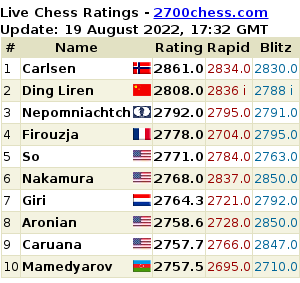 He has already done a lot for chess, but I think that this team discredits FIDE and I’m going to fight against that. E.SUROV: From my personal experience, I saw and thought during the Olympiad, and I haven’t changed my mind, that Mr. Yazici, you actually haven’t mentioned him yet, is the one who has an absolute power; but you are talking only about Makropoulos. So, saying it in other words: who has more power – Makropoulos or Yazici? S.DANAILOV: No, Makropoulos is the head there, Yazici is just a member of his team. Let’s consider your case. It’s simple – giving an accreditation to the journalist, the President of FIDE wanted you to be accredited; RCF, Levitov, the Vice-President of FIDE have also asked for that. Adding those players who signed the request. But it didn’t work out, which means that those group has lost reality in the way that they don’t even listen to the President’s recommendations. They think they’re inaccessible and that they can be doing whatever they want. This is a typical example. They proved that they are outside the law and that they are able to do whatever they want by ignoring the President’s request. They just crushed down the President’s image in the whole world. E.SUROV: I see. Except the changes in the FIDE Regulations we have already mentioned what else has happened at the Congress, anything that is worth of attention and should be noted. S.DANAILOV: I want to stress that FIDE gave the right for organization of all top tournaments to an offshore company AGON, although that is gross violation of the procedure for consideration of the applications, which were submitted by Bulgarian and Azerbaijani federations. They practically laughed at us, we weren’t considered at all, we’ve been removed and the right for organization was absolutely illegally given to it. I have put up this question at the Presidential council, but I didn’t get an answer yet. Although FIDE is such a serious organization. Just imagine that FIFA or another big international organization will give all rights for holding the top tournaments to an absolutely unknown offshore company created in January 2012. In my view that is not the best decision. The BCF protested, but as usually we didn’t get any attention. That’s why we are looking forward to defending our rights in the Court for Arbitration for Sport in Lausanne. E.SUROV: What is the essence of the matter? S.DANAILOV: It’s quite simple. The applications for the right to organize the tournaments had to be submitted until 31st of January. Officially there were only two candidates before January 31st: Baku and Sofia. There wasn’t any other candidate. FIDE’s obligation was to give the right to one of the candidates. S.DANAILOV: So, in early February they said they were signing the contract with an offshore company AGON giving it all the rights to organize the tournaments. This was a gross violation of the law. So, we are going to defend our rights. E.SUROV: And when you asked at the Congress (you said that): “Who is the owner of the company?” – what was the answer? E.SUROV: And for 11 years. E.SUROV: What do you think of the decision to give the right to organize Olympiad-2016 to Azerbaijan? Bulgaria also wanted to host the tournament. S.DANAILOV: I should say that Azerbaijan was a great candidature. Really a top level candidature. There was a point in the agreement that the candidate which would be able to host not only Olympiad but the World Cup would have an advantage. I Of course consider that absolutely illogical, because those are two different tournaments. So we’re observing how they are imposing: if you are taking Olympiad, you should also organize the World Cup and then they will tell you: now organize the Olympiad, World Cup and Women’s World Championship, because we don’t have sponsors. That’s completely wrong. Azerbaijan had firstly a great offer and secondly they also applied for hosting the World Cup. I don’t see criminal in there, all went according to the rules. Actually, I’m quite happy because I think that Azerbaijan will hold a great Olympiad. The only problem is connected to Armenia – of course this question should be settled somehow. It’d be wrong if threefold Olympic Champions won’t participate in the Olympiad in Baku. I think that this problem can be discussed and solved. Erevan will host Men’s Individual European Championship dedicated to Petrosian’s 85th anniversary in 2014. I’m negotiating with Azerbaijani Chess Federation, Minister of sports, Mr. Ragimov, different politicians in Azerbaijan and I will do everything I can in order Azerbaijani players to compete there. Of course, FIDE and the whole Europe should consolidate in order Armenian team to participate in the Olympiad-2016. I think that will be a very serious step towards maybe even solving that conflict. E.SUROV: Tell us about your impressions on the recent Olympiad. When did you arrive – 5 rounds before the finish? S.DANAILOV: I arrived 6 rounds before it was finished. E.SUROV: So, you arrived, accredited and entered the playing hall. In general, what are your impressions? S.DANAILOV: The organization was average. Nothing that special. Of course the prices were just terrible, but I wrote an open letter several months before the Olympiad started expressing my opinion and mentioned that FIDE gave the organizers the right to do whatever they want. An absolute outrage. But nobody supported me. I mean a lot of people supported but only on words. Officially – nobody. So, people knew where they were going. They knew the prices, they knew what kind of organization was waiting for them. So, it’s hard to protest, I warned everyone outlining what was waiting for them. E.SUROV: How do you think why weren’t there any official protests? S.DANAILOV: It’s hard to say. I received lots of letters and phone calls saying: “Yes… We’re outraged... You are right…” But nothing more. The only explanation I can find is that this is an Olympiad, this is politics. It’s quite hard to boycott the Olympiad. It’s not just chess, but it’s about international politics. So… The federations should be asked that: why didn’t you protest? The Olympiad was played at the airport and the prices were terrible! If we would make such prices somewhere here in Europe – that would be a great scandal, while here – everyone keeps silence. I don’t know why. E.SUROV: We asked our readers to leave questions for you. Elena Klimets asks you about the prices: “[…] Last forum in Plovdiv provoked discontent (unbelievably low prize fund, expensive hotels, new chess rules). It seems that we’re approaching (or already approached) a critical point: some changes should be done. Tell us what changes are planned to be done? S.DANAILOV: The fact is that the last scandal around the European Championship was raised artificially by one person, I won’t name him – he is a representative of some organization, association. This person serves FIDE and wanted to make some profit on raising that scandal. Here’s my question: the same rule – I mean “40 moves” rule – was at the women’s championship two months ago in Turkey. The rules there were absolutely the same, the prices were even higher. But no protests followed. Then after Plovdiv Russian Club Cup was played and a lot of those who played in Plovdiv participated, the same rules – agreeing on a draw before 40th move was forbidden and again no protests! None! There weren’t any problems. As regards to the prices. Excuse me but the prices at the Olympiad in Turkey were ten times higher than in Plovdiv. Did you hear at least one protest? No, you didn’t. In Plovdiv nobody was forced to go to the official hotel. We have a complete freedom in Europe. You can choose any hotel you like and we do not fine for not choosing the official one. Well, the prize fund wasn’t really high and I understand that. But keep in mind two things: firstly, terrible crisis in Europe, everywhere; secondly, people should understand that we applied for the right to organize the tournament several years ago. I mean the application for Plovdiv-2012 was submitted in 2010 with the respective prize fund. This is the rule and we can’t change it. Of course we will be trying to enlarge the prize fund, but as everyone knows it’s a hard situation now. E.SUROV: Well, I agree that the scandal around one tournament was somewhat artificially raised (in comparison to what is hushed up in other tournaments). Nevertheless, if not mentioning this, that doesn’t change the fact that the conditions for the players in general are not favorable. You as a famous manager are supposed to find sponsors and so on and so forth. In order the players to have a wish to participate in the European championship. S.DANAILOV: Sure, but the players should also understand that they also have to cooperate. This is not only managers’, presidents’ or the organizers' responsibility. The chess players should understand that we all are in the same position, we all should work together. This is what I say: at least play! Because earlier first 30 games in the last rounds finished in 10 moves. I’m sorry but to whom can you sell that? Moreover: when we’re asking players to wear the suits with the ties we hear: “what for”, “freedom”… I mean I understand what they want but they should cooperate and understand that chess should have some commercial value. All of us – and journalists too! – should work in one direction. We should be one team. Not that all complaints are addressed to the organizer, federation, while nobody wants to just collaborate. E.SUROV: That’s a “vicious circle”, because the players will tell you: we are coming by paying out our own pockets, so we want to dress as we like, to play as long games as we want and so on. S.DANAILOV: Firstly, the federations are paying for everyone at the official championships. Only few people travel by their own. Secondly, either we are trying to make chess professional or not. If we do then everyone should work. One shouldn’t think that millions will just fall of the sky. There should be some commercial value in order to sell the product. So, that’s a serious question. Some work is already done: the prize funds earlier were really low, now let’s say that 2 millions on the World Championship is a normal prize fund. Things will work out if we’ll be working together. E.SUROV: Andrei Maksimov is interested in “How do you collaborate with Kirsan Ilyumzhinov? Is there any constructive dialogue? S.DANAILOV: We always had very good relations. I always treated him well, I respect him as a person who has done a lot for chess and FIDE. That’s just a personal sympathy. Now we are communicating less: I have a feeling that he is more into business and he has puished FIDE to sidelines. As I already said he left all the power to Makropoulos, Yazici and their crew. I would like to work with him more closely and discuss the issues with him personally, rather than with that team. I hope that will happen in future. E.SUROV: As regards to cooperation with ACP – it’s an important organization. Do you want to collaborate with it? S.DANAILOV: We tried, but we were attacked by them terribly and without any grounds. At the moment we can’t cooperate with the organization which openly serves FIDE. That’s why this organization doesn’t do much – there’s too much of cheap PR, but not that much action. Let’s return to Plovdiv. All representatives of this organization were there for 11 days. Our Board was there, I was there just for few days, but our General Secretary Sava was there. None of them came and said: “Look, there are problems that should be settled.” Complete silence. The tournament ends and suddenly some open letters are published. I’m not used to that. I’m a direct person: if I don’t like something I’m going and saying that directly: there’s a problem which needs solution. If I can’t talk directly to the person then I’m addressing myself to press and start a campaign. However, every normal person should firstly sit, try to settle the issue and only if it doesn’t work go to the court and fight with other sources. I think it’s absolutely intolerable what they did in Plovdiv. That’s why for the moment I don’t see how we can cooperate. E.SUROV: What would you like to do in order the system of the World Championship to become more attractive? S.DANAILOV: I think we won’t be able to discuss it in this interview – it’s too long, but I think that having the World Championship match for defining the strongest is correct. Another thing is that it’s incredibly hard to reach that match. The system is too cumbersome: Grand Prix, World Cup, Candidates Tournament… So, the person who will finally reach the match is just a “titan.” Winning the World Cup, Grand Prix, Candidates tournament, while the Champion is just sitting and waiting! I think it shouldn’t be this way, however that’s a tradition and it’s hard to fight against it. E.SUROV: Here’s another question then. One of the members of your team wrote on his Facebook page accusations against you and Topalov saying that you are creating unfavorable atmosphere inside the national team. Can you comment on that? S.DANAILOV: Yes, of course. We all - the Bulgarian Chess Federation, as well as players - were surprised by GM Georgiev's statement. To be true we don't even understand what is he talking about. So, we submitted this issue for further consideration at the Ethics Committee of the Bulgarian Chess Federation as long as his statement crushes the prestige of the team, mine as of the President and Veselin's prestige too... If he wanted to discuss this question then he had to ask directly: guys, let's settle this problem, I have such opinion; but when everything's finished and the accusations are written by the player who showed the worst result in the team... That's strange for me. S.DANAILOV: No, that’s the Ethics Committee. I’m mixing that up, we don’t have a disciplinary one. E.SUROV: “Will you cooperate with Ilya Levitov in order to withstand Yazici’s and Makropoulos’s actions?" S.DANAILOV: I should say that I have quite good impressions on Mr. Levitov, although I haven’t communicated with him very much. He’s young, quite ambitious and gifted leader. Of course I would like to collaborate with Ilya and Russian Chess Federation, because RCF is the strongest federation in Europe. However, that doesn’t depend only on me. That should be supported by both sides. I have an impression that his views on what is happening now in FIDE are the same as mine and I’m of course always opened to any kind of cooperation. I’m ready to work with RCF, but I repeat that the initiative should come from both sides. E.SUROV: So, they haven’t shown their interest in cooperation with you yet, have they? S.DANAILOV: Not for the moment, but I hope that will happen in future. E.SUROV: Thank you for the interview. This was Silvio Danailov. If you have any announcement you would like to make the microphone is yours. S.DANAILOV: The only thing I would like to say is that FIDE can become a really democratic, positive organization working for the benefit of chess only if the Vice-President Georgios Makropoulos will resign. And I will be fighting for that to happen. E.SUROV: Well, they don’t like critic, did you say anything like that at the Congress? What was the answer? S.DANAILOV: Of course I did. I protested against a lot of decisions, but only few supported me. This was the first lesson for me. I’m new in the politics of FIDE, but I’m learning fast and I’m quite hard-working, so I will be better prepared in future.